To you, my fellow men and fellow Orientals, I address these few words of advice and appeal… The western races of the world… have made a religion of color. They fancy that all other races must serve them… Europe has subjugated India… she casts long eyes on other lands. She is slowly strangling Muslim Asia and Africa… Teach imperialist to stay at home and be happy, like the Swiss and the Scandinavious [sic], instead of roaming about the whole earth like wolves and hyenas… Read the history of European Nationalist movements in the nineteenth century. The Orient is destined to follow the same path in the twentieth century… Make common cause with all who are undermining and combating the British Empire. Its author was a mysterious, and by all accounts brilliant, Indian student of Sanskrit at Oxford. He wore a dhoti and a homespun shirt that shocked his prim Edwardian professors. Just months before graduation, he bewildered them further by dropping out. He defended his decision in a letter condemning the English government and denouncing its presence in India as illegal. Disgusted by Europe, he moved to Algeria to live the life of an ascetic but soon found himself drawn to Waikiki Beach, in Hawaii. There, Japanese fishermen mistook him for a Buddhist sage, fed him, and awaited his teachings. Yet his mind was filled — though his disciples could not know it — not with the sermons of the Enlightened Prince, but with Kant, Hegel, and Marx. Pay: death! ; Price: martyrdom! ; Pension: liberty! ; Field of battle: India! In Tokyo, there was Barakatullah, an Indian Muslim professor who took over the editorship of a minor pan-Islamist newspaper called Islamic Fraternity from its Egyptian founder. In Cairo — if we are to believe the paranoid British spies — a Maldivian scholar-prince was agitating to block the imperialists from sailing through Suez. And in Moscow there was Rafiq Ahmad, an impoverished Indian who was on a pilgrimage to Imam Ali’s tomb in Afghanistan when he was lured to Russia by Bolsheviks, who promised him a scholarship. If the world of the Ghadarites was as large as the earth itself, Moscow was Mecca, as Maia Ramnath writes in her recent book, Haj to Utopia. Since a 1920 conference in Baku had declared the Prophet Muhammad and Lenin twin commandos in the struggle against injustice, the Soviets began sponsoring scholarships for Muslim students at their newly founded Communist University of the Toiling Masses of the Eastern Autonomous and Associated Republics. There, Rafiq might have met Ho Chi Minh or heard Nazim Hikmet recite his poetry. Both of them were students at the time. As she charts her pilgrims’ peregrinations, Ramnath tries to show how they came to think and act outside the carefully patrolled borders of the nation. She strives to wrest the lives of Har Dayal and the Ghadarites away from nationalist historians who have straitjacketed the messy lives and legacies of these individuals into neat bundles intelligible to nations and their agendas. The heroes of her pages are treated as eclectic and exotic, with emphasis not on their position as nationals but as a part of a celebrated “global.” And yet, the book reads like an extensive catalog of curiosities — in which ideas are treated as trinkets or souvenirs accumulated along her travelers’ transcontinental journeys. Though Ramnath’s cartography of anarchist intellectuals is impressive, the book never alights on what was truly novel about the period in time she describes. This peculiar era of world history is lodged between the age of empire before it and the age of nation after it. Why did the ideas espoused by the Ghadarites have such global currency that they could be read with equal enthusiasm in Panama, France, or Japan? What was it about the early twentieth century that made these ideas useful tools for apprehending the world? And what made them valuable — in a way that they had never been before, and would not become thereafter — to people so divided by class, race or religion? Ramnath might have done well to consider how new technologies of travel and large-scale displacement — so characteristic of the age of empire, or capital — made possible new kinds of personal relationships and antagonisms, domestic arrangements and modes of living. She leaves us wanting to hear of our heroes’ hearts, and what was in them, rather than the hyperbolic rhetoric of the newsprint they produced. In this vein, though Ramnath titles her work Haj, she ignores the pervasive piety of her protagonists. Her title instead derives from the world of sci-fi — from Mars trilogy author Kim Stanley Robinson, who wrote, “History is the Haj to Utopia.” With the exception of a nod to Pan-Islamism in the two final chapters, Ramnath succumbs to a tired Leftist tendency to reduce religion to, at best, strategy, and at worst, metaphor. And yet, in America for instance, the vast (silent) majority of Har Dayal’s followers were deeply religious Punjabis. Ignoring this, Ramnath strains to find in the Ghadar movement an authentic secular core, which deploys religion for instrumental reasons alone. But this tells us more about Ramnath than it does about Har Dayal and his acolytes. An anarchist-activist herself, Ramnath clearly admires these figures in her own life — and yet in her valorization she might be misrepresenting her heroes. In her attempt to embed Har Dayal’s generation in the genealogy of international anarchism (further elaborated in a second book, entitled Decolonizing Anarchism) much of the complexity of this movement is lost. At times, it is obscured simply by the jarring tension between Ramnath-the-academic and Ramnath-the-activist, often palpable in the writing itself, which oscillates between the tone of a scholar and that of an advocate, punctuated with indignation. Without pushing it, there was indeed plenty that was radical about the Ghadar movement. When they reappeared on the radar of the British, the Ghadarites were tried for treason and charged (not unfairly) with inciting violence, by endorsing the assassination of colonial officials. Their accusers described them as “terrorists,” a word largely used in the past — with a capital T — to describe Jacobins in the French revolution. 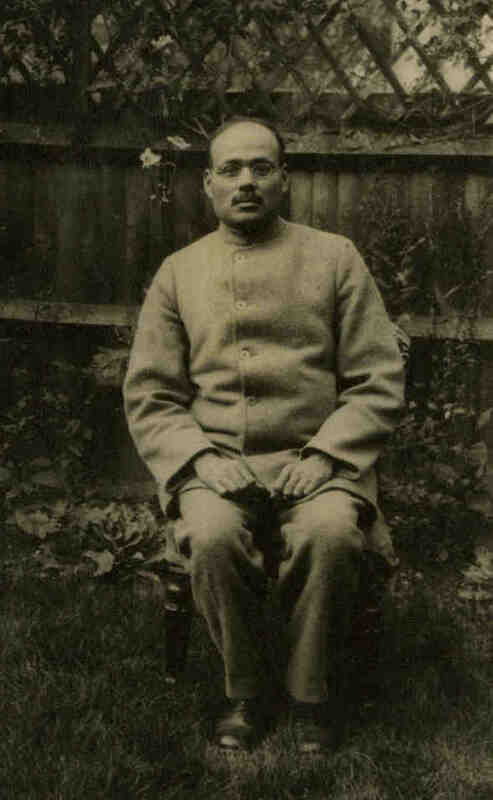 Har Dayal and his comrades were the first for whom terror became a tool of political action. This in turn led to the first imperial legislation that was written against “terrorism.” Around the same time, a number of Har Dayal’s colleagues were executed. For the Mutineers, terror was a new path of action. The globalizing Ghadarites increasingly began to conceive of the world as partitioned between East and West, a division that desperately and delicately needed to be balanced. It is from them, as well as from other “anti-westernist” movements contemporary to it, that we owe in part such nefarious ideas as “the clash of civilizations” and the “world order.” The afterlives of such concepts continue to reverberate all too clearly. And as free roaming as Har Dayal was, the legacy of his “terrorism” was unequivocally constraining for his “oriental” descendants today. One wonders if it was our Mutineer’s spirit that the poet Agha Shahid Ali sought to channel in his poem, “Barcelona Airport.” Subjected to racial-profiling, in a post 9/11 world, the poet is aggressively interrogated at the Spanish border: “Are you carrying anything that could be dangerous for the other passengers?” Shahid replies, O just my heart — first terrorist.